Cutting Boards 101: Which One Is Right For You? Knives are the quintessential cooking tool. They vary in styles, are versatile and hold a special place in any kitchen. Cutting boards on the other hand are often overshadowed by the gleaming, sharp knives, but they provide an important base for food preparation. What are the best cutting boards for the home chef? Cutting boards offer a clean working surface where precise cuts can be made and they play a vital role in protecting your valuable knives. In the market for a new cutting board, I did some research into my available options. 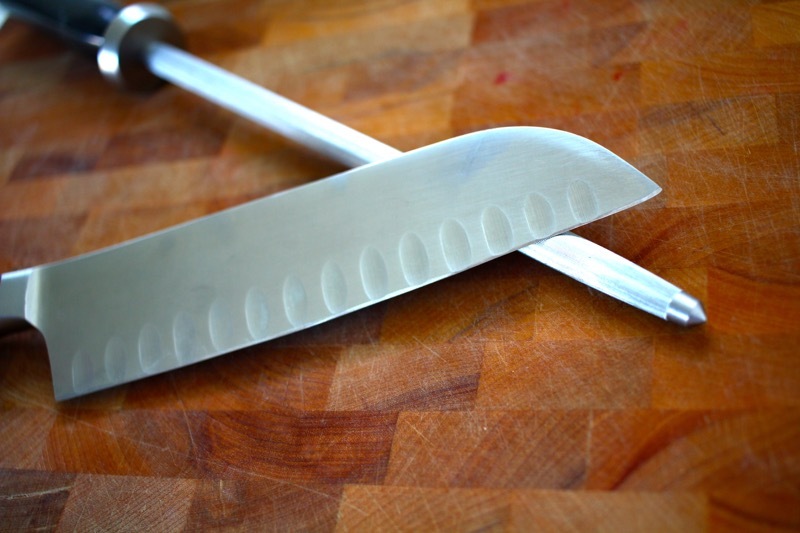 Technically speaking, you can use a knife on any surface, but if you want to preserve the fine edges of your knives then you’ll definitely need a decent backstop for your blade. 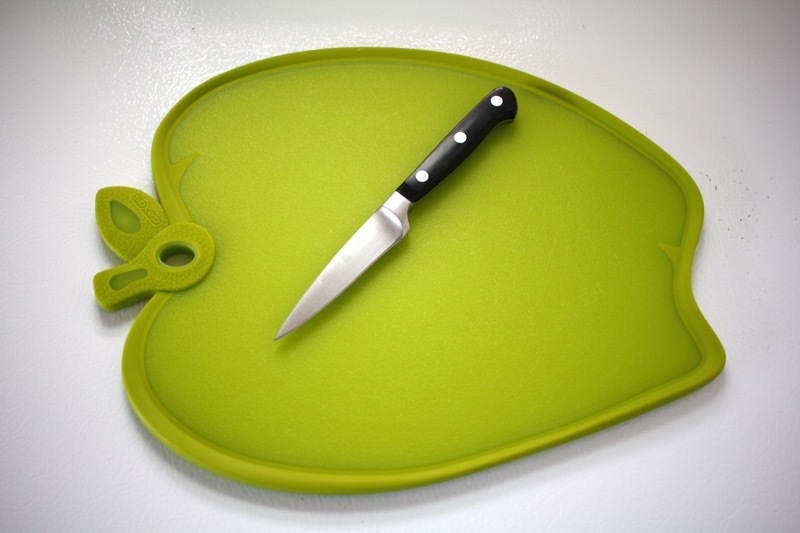 A cutting board’s surface is softer than the metal of the blade and means less dulling. Cutting boards also provide a clean surface in which to handle meats and produce. Plastic cutting boards excel at the sanitary aspect due to their inorganic surface. In the marketplace there has been a growing trend in the availability of highly decorative cutting boards. While these beautiful hard rock, steel, Corian and glass cutting boards are great showpieces, they are in fact terrible cutting surfaces. Due to their hard and abrasive nature, these decorative boards will only serve to wear out the fine edge of your knives. 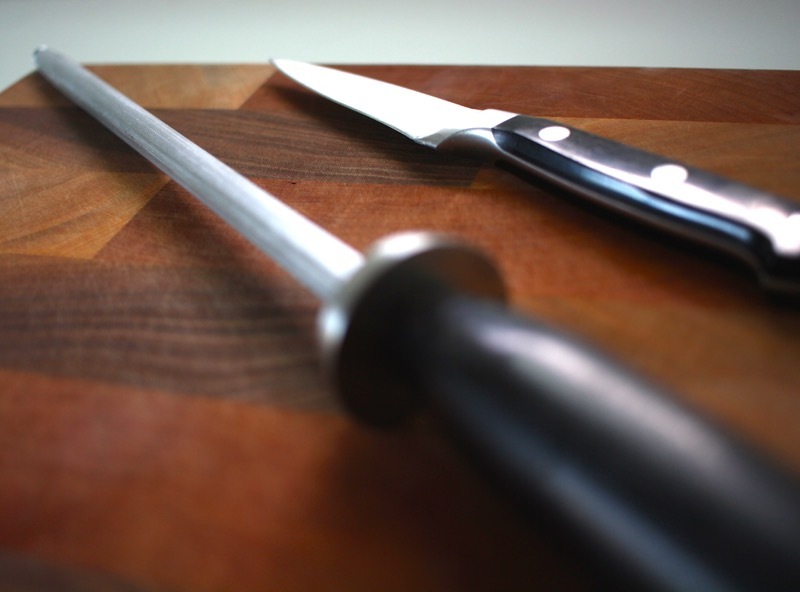 Knives do need to be sharpened from time to time, about once a quarter, since even the best knives get dull. Cutting Boards come in all shapes, sizes, and materials. As previously discussed, some of them are inappropriate for knife use. Want to know the difference between types of cutting boards? these days are made of hard maple as it is strong enough to take the repeated abuse of chopping, slicing and dicing, but is soft enough to yield to the blade. Softer woods can also be used, but they wear out fairly quickly. Different kinds of wood can also be laminated together to create truly astonishing pieces of functional art, but woods of varying density can lead to uneven wear on your knives. There is an issue with sanitation however, as wood is an organic material and bacteria can grow in these cutting boards if they are not washed properly. has been a perennial favorite by professional chefs and home cooks alike. 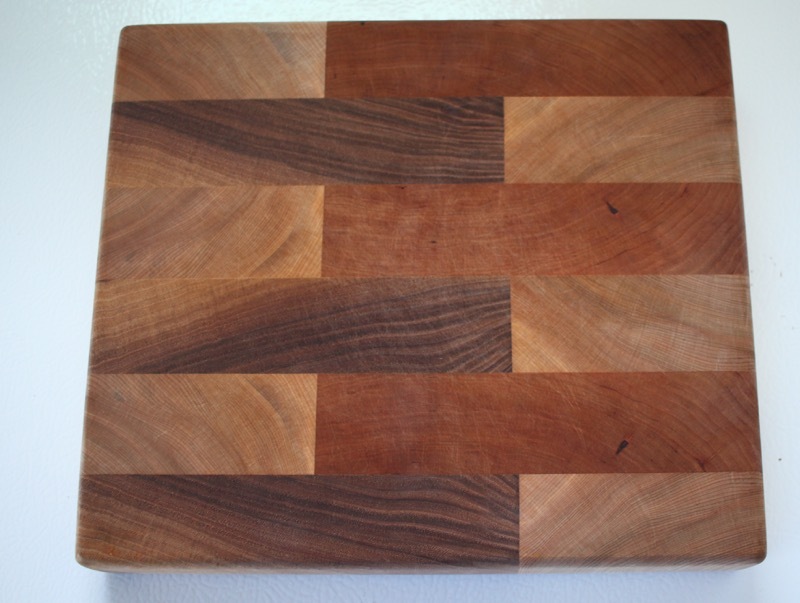 End grain cutting boards are composed of several end cuts of wood that are laminated together (think of those cutting boards that have the checkered pattern). This construction allows the entire board to be remarkably strong while allowing the softer end grain to bear the force of the knife without dulling it. Besides the higher price tag, the tradeoff is that end grain cutting boards tend to be heavy and hard to lift. Since it is still wood, the issue of bacterial growth can be an issue if it is not properly cleaned. I have a couple end grain wood cutting boards and I love them! have come to be known as the workhorse of restaurant kitchens. Lighter in weight but having a harder surface, plastic cutting boards are able to take the rigors of the kitchen in stride. Plastic is also not organic, which means that the risk of bacterial growth is reduced. Combined with the fact that plastic cutting boards can be easily and safely thrown in the dishwasher virtually eliminates bacterial growth altogether. It seems that everything is faster on a cutting board. They can be cleaned fast, but they can also wear down your knives fast as well. The plastic itself doesn’t have a lot of give and wears down quickly as well. Future meets the past in these cutting boards, as wood pulp and resin are combined to make stylish yet remarkably sturdy boards. The finished board is incredibly hard given it is as thin as most plastic cutting boards, yet has the longevity of most wooden cutting boards. are very sanitary and can be thrown in the dishwasher without a worry. Composite cutting boards tend to be harder than plastic cutting boards and wear down blades at an accelerated rate. While great to look at, a composite board would be best used to serve as a bread and cheese cutting board. Cutting boards are the unsung heroes of the kitchen. They help keep your knives sharp while you prepare your meals. They help keep things organized and clean. For my kitchen, wood seems to meet my chopping needs. 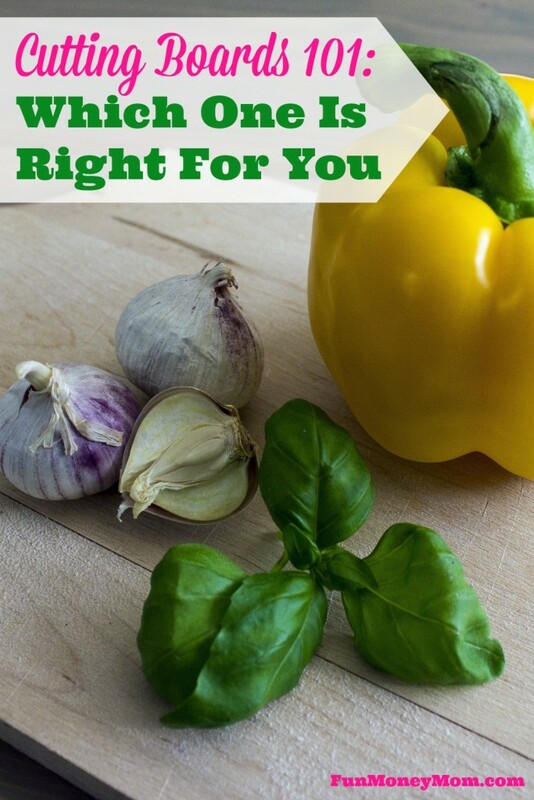 What cutting board works best for you? 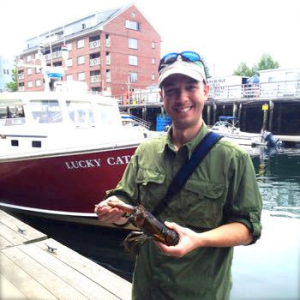 Doug blogs about everything from knives and cutting boards to cast iron, with some recipes thrown in just for fun. Check out more at The Kitchen Professor! Visit my Link Parties page to see where I share my posts! I love a big chunky wooden one. Hi, thanks for letting me share some cutting board info! If anyone has questions let me know in the comments here. Hey Tara, me too! You can get a lot done on the BIG end grain boards. Your post peaked my interest because I never thought about the different types of cutting boards. I have always use a plastic cutting board and after reading this I feel I have done the right thing. I love the look of the wood ones and have considered purchasing them as gifts for friends but now I’m not sure if I will do that. Thanks for posting this and making me aware of the good and bad of a cutting board. Hey Lowanda, Thanks for checking out the post. Plastic is the best compromise…and I have a couple too. They are light and convenient. Taking a big, wooden cutting board out to the grill, patio, or deck isn’t convenient. Thanks so much for checking it out! When Doug offered to guest post about it, I jumped at the chance because I didn’t know much about cutting boards either! I’m glad you found it as informative as I did!